Choose one of these Carrollton Florists and have a beautiful, hand arranged flower bouquet delivered today. Same Day Flower Delivery available from most shops until 2:00 P.M. in the recipients time zone. Local Carrollton, TX Flower Delivery from the talented and reliable florists listed below. 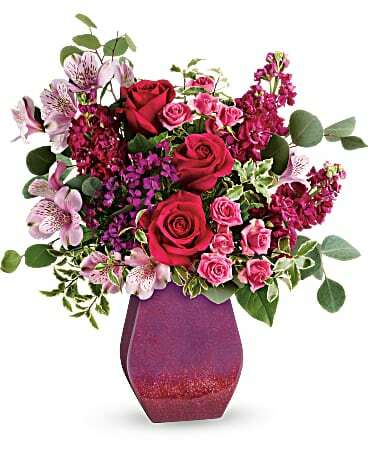 Find Richardson flower shops or florists in Plano to send flowers. Local Addison florists and Dallas flower shops will often deliver flowers to nearby cities as flowers will still arrive fresh in its vase. For flower delivery to Coppell or nearby cities, real local flower shops in Garland or Lewisville florists can help. You can be sure that flowers delivered by our florists in Irving or Mesquite flower shops will arrive in the freshest condition possible. We Don't Arrange...We Design! Unique & Distinctive Designs With Personalized Service On Every Order!